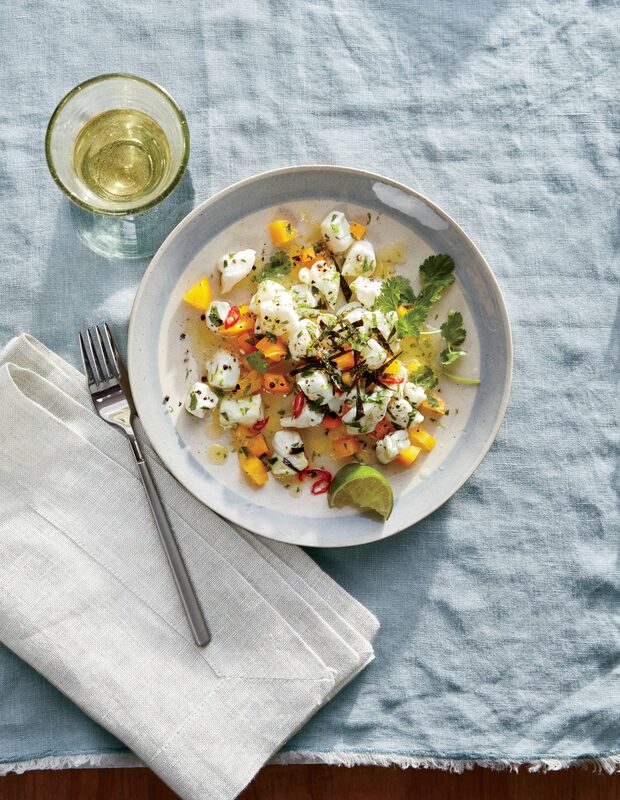 We can think of almost nothing more delicious on a hot August night than fresh, light ceviche. Adding nori at the end introduces depth and crunch. Look for nori in the Asian foods section of most supermarkets; it's dried seaweed that comes packaged in sheets (and is what's used for sushi rolls). If halibut is a little too pricey, try striped bass or flounder. Seaweed goes well beyond sushi; here it gives a punch of savory crunch that balances the bright twang of lime and herbal fragrance of cilantro. I first made this dish in 1970 and still cook it with pleasure today. 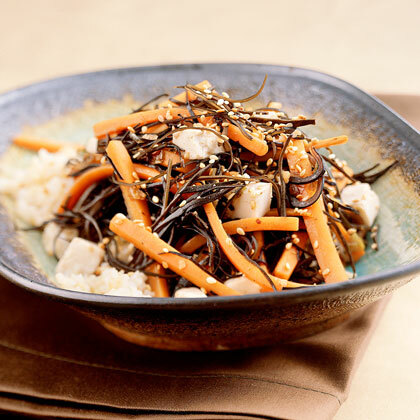 The deep-black color and unique flavor of arame seaweed makes it an attractive accent for carrots and spicy fresh ginger. Adding the tofu and serving it with brown rice makes a complete meal. 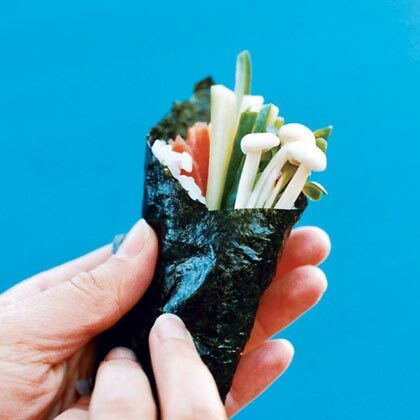 You can substitute other varieties of shredded seaweed for the arame; each will have its own distinct taste. Prized for its oceany umami flavor in sushi and miso soup—and now a popular packaged snack item—nori is dried Japanese seaweed that offers new possibilities for cooks. Its papery texture makes it easy to crisp in the oven and crumble over veggie sides, noodle bowls, and stir-fries for a little briny kick. These are easy, portable snacks that kids and adults will love. 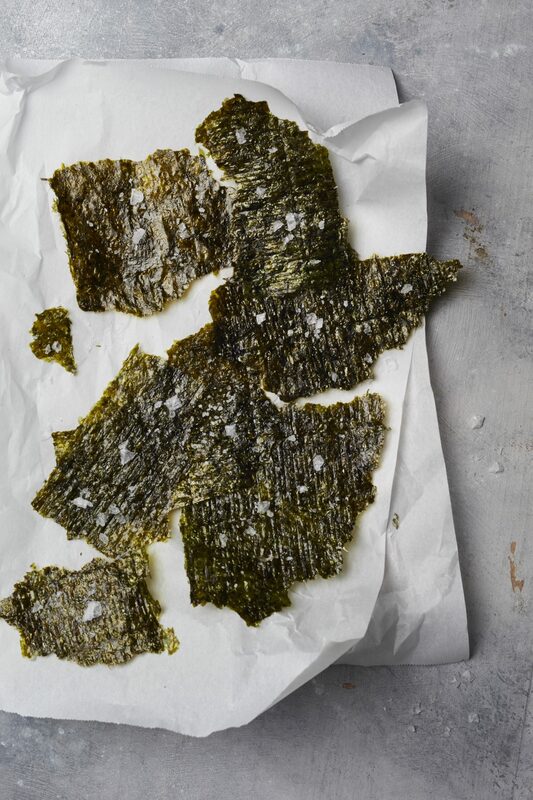 If you need a salty fix, replace potato chips with these briny, crispy nori sheets toasted in the oven. They can last up to four days in an airtight container so they are a great road trip snack. Popcorn is a versatile, blank canvas. Spice it up with a toasty umami flavor with crushed nori (dried seaweed). Sprinkle over warm popcorn for a new way to snack during your favorite movie. If you need a salty fix, this seasoning will elevate your popcorn and you’ll never want a plain potato chip again. Try adding this seasoning with dry rubs as well to bring a new level to your grilled meats. 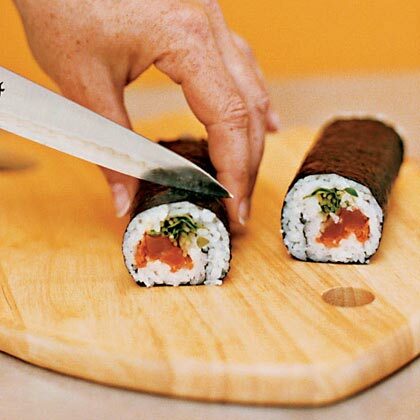 Look for seaweed salad with the prepared sushi in your grocery store. 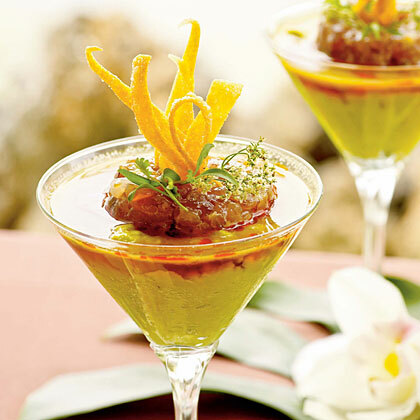 Ogo is a feathery seaweed that offers a crunchy texture and mineral-rich flavor to poke. It may be difficult to find on the mainland, but you can substitute seaweed salad found at your grocer's sushi counter. Nori (seaweed wraps), wasabi, and pickled ginger are available in well-stocked supermarkets and in Asian grocery stores. 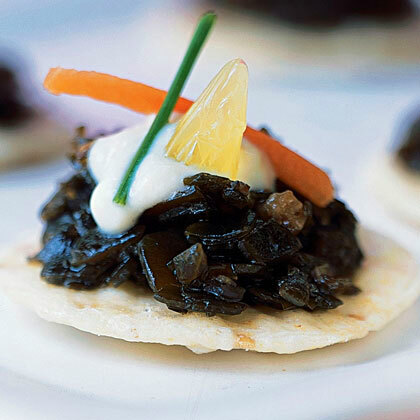 Seaweed is a surprisingly versatile ingredient, as well as a way to add a savory note to your meatless dishes. 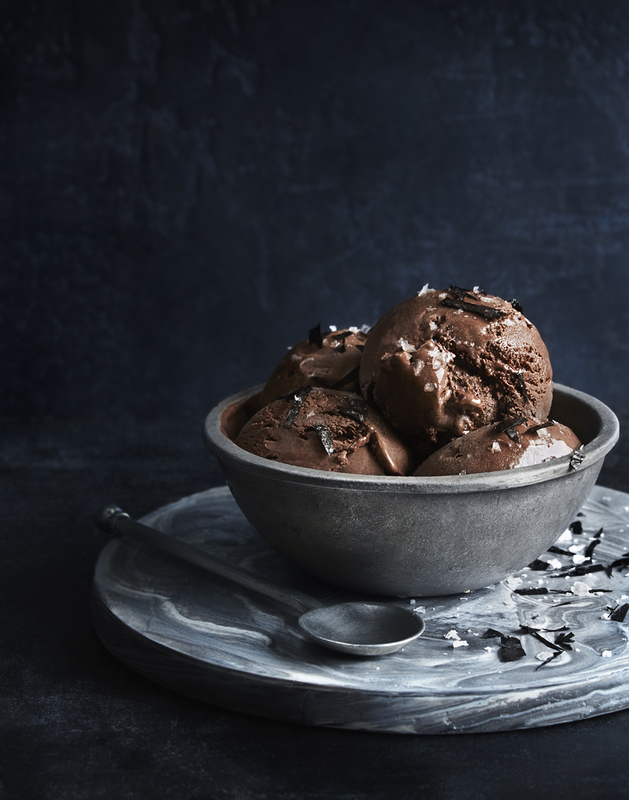 Nori sheets infuse a classic chocolate ice cream with unmistakable earthiness and minerality. 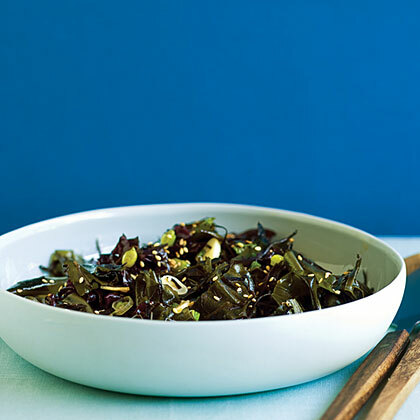 The sea vegetables in this recipe are two types of dried seaweed. 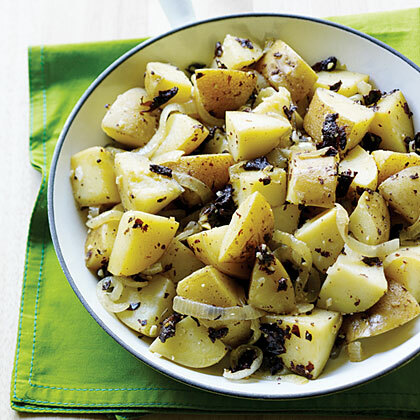 Full of minerals and low in calories, it's the perfect addition to this hearty potato dish. Although homemade dashi (Japanese seaweed broth) is part of the easy beauty of this dish, you can substitute instant dashi in a pinch. If you take that shortcut, infuse the broth with fresh ginger. 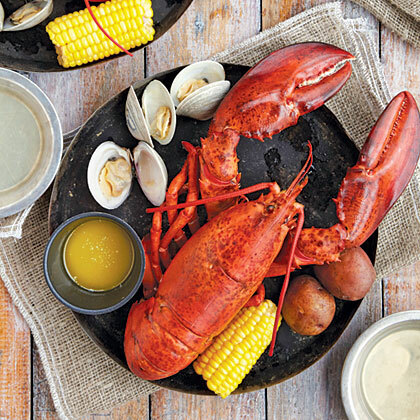 An authentic lobster bake is a memorable and festive event. 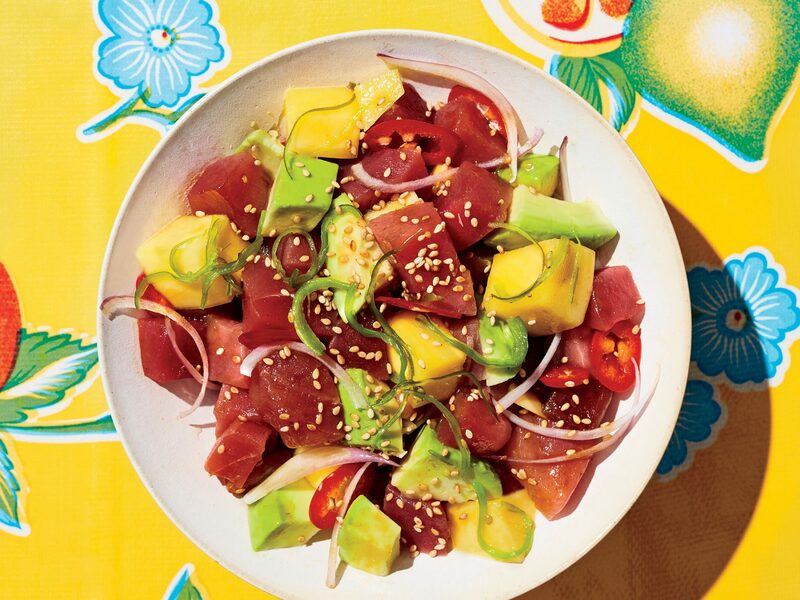 This recipe was inspired by food photographer Ted Axelrod. He steams lobsters, clams, corn, and potatoes in a large pot covered with seaweed. This recipe uses a simple stovetop cooking method. Kombu, a dried dark seaweed, is available in Asian specialty markets. If you can't find it, add 1/4 teaspoon salt instead. This stew is good served over hot cooked rice. 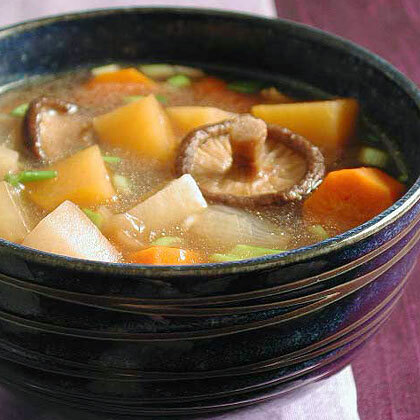 Dashi - a broth made from kombu seaweed and water - is the base for this traditional Japanese soup. 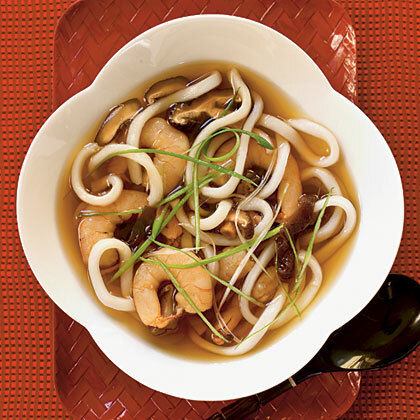 Miso offers a meaty flavor. Substitute arugula or spinach for the watercress if you wish. Look for hiziki, a black ribbonlike seaweed, in Asian markets; substitute dried nori seaweed sheets if hiziki isn't available. If your knife skills are rusty, preshredded carrots will do nicely for the garnish. Use the leftover tofu cream as a dip for crudités. Admittedly, this recipe isn't quick, but if you have the time and inclination, it's quite impressive. 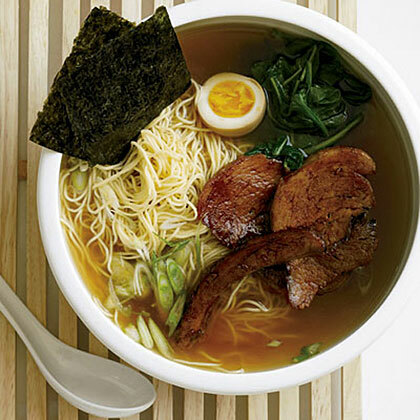 After visiting New York City's top ramen spots (including Ippudo NY, Sapporo and Momofuku Noodle Bar), Grace Parisi created her dream ramen with a pork-and-chicken-based broth that gets extra depth of flavor from kombu (seaweed) and shoyu (Japanese soy sauce).